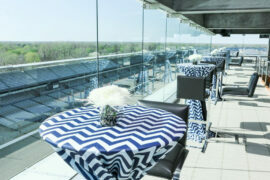 Ritz Charles is a premier caterer for the Indianapolis Motor Speedway, including the spectacular Indianapolis 500. 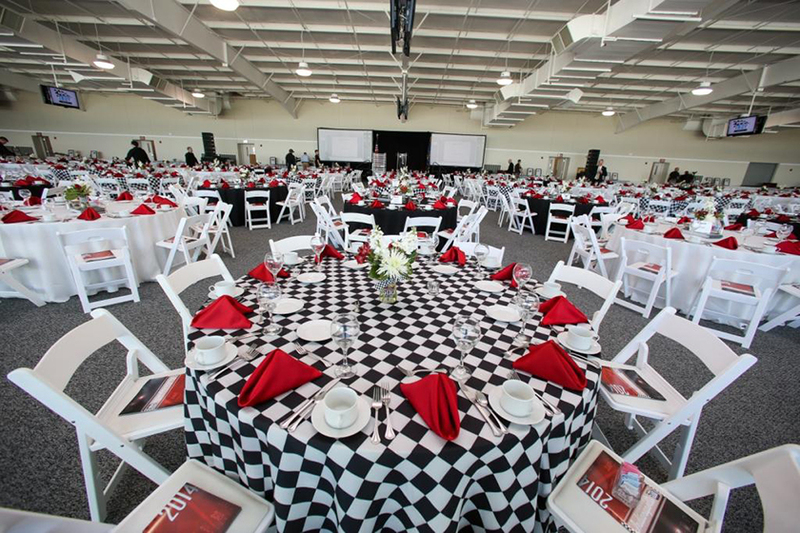 The Indianapolis Motor Speedway is available for private events including corporate meetings and conferences 12 months a year. The Indianapolis Motor Speedway, home of the historic and legendary Indianapolis 500, is situated on 16th Street just west of downtown. 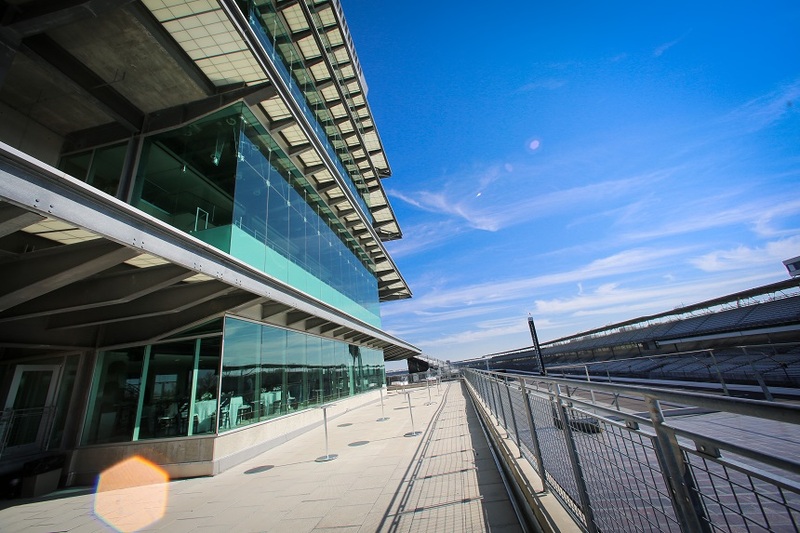 Full of rich Indianapolis icons and traditions, IMS offers a variety of spaces within the two and a half mile oval. 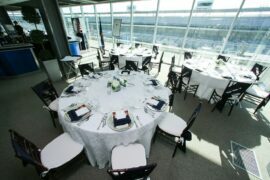 Ritz Charles has been catering to the private suites during race season for over 20 years. Many of our suite holders entertain celebrities, drivers, owners and even royalty. Throughout the month of May many of our suites enjoy traditional track fare; other suite holders prefer much more sophisticated options. Ritz Charles can accommodate either. We work with each client to customize the menus for each suite, and the culinary options are vast. From Turn Two to the Hulman George Suites, Ritz Charles is proud to be such an integral part of the Indianapolis Motor Speedway during all major events. 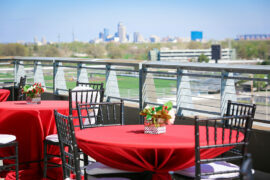 The Indianapolis Motor Speedway is available for events 12 months a year. The Speedway also offers event car rides, giving your guests the chance to take a lap around the famous 2 1/2 mile oval. Whether you’re looking to host a large, multi-day conference, a gala for 100 to 1,800 guests or a corporate meeting with multiple break out areas, this venue can accommodate you! 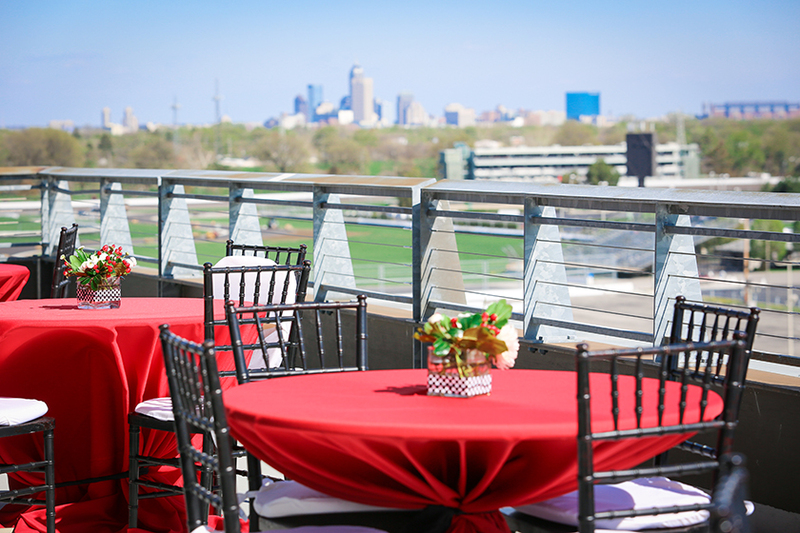 To start planning your event at the Indianapolis Motor Speedway please contact the Indianapolis Motor Speedway’s Premium Services team at (317) 492-8739 or by email at suites@brickyard.com. For Ritz Charles Catering at IMS contact Sarah Godby at 317-428-5248 or by email at Sgodby@Ritzcharles.com or Contact Us at this link. 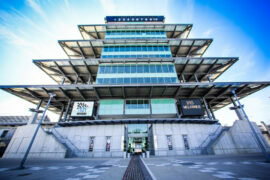 The Panasonic Pagoda sits atop the yard of bricks with eight floors and terraces and astonishing trackside and spectacular Indianapolis cityscape views. Indoor and outdoor spaces offer a different set of views on each level. 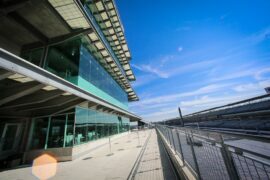 The trackside level is also available for use, putting your guests just inches away from the track and pit lane. The Hall of Fame Museum offers the opportunity to enjoy cocktails at a stand up reception around past race vehicles and memorabilia of record breaking teams. Space is also available for accompanying seated banquets and meetings. 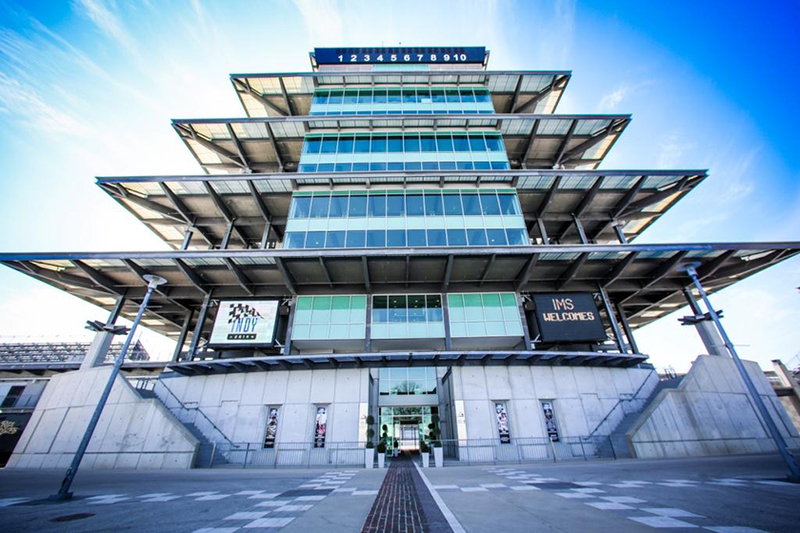 Directly opposite of the Pagoda and featuring an entrance atop the yard of bricks, the glass-front Pavilions were home to the famous Indianapolis 500 Victory Banquet for years. Because of the courtyard setting, your event can feature an outdoor cocktail hour and then move inside to the surrounding structures. Climate control allows for full comfort no matter the time of year. Situated next to the Pagoda, these suites offer sweeping views of the front straightaway. The entrances of these suites overlook Gasoline Alley, giving your guests views of the garages and even buzz of the teams’ activities during the racing season. Located in Speedway, Indiana, just minutes away from downtown Indianapolis.